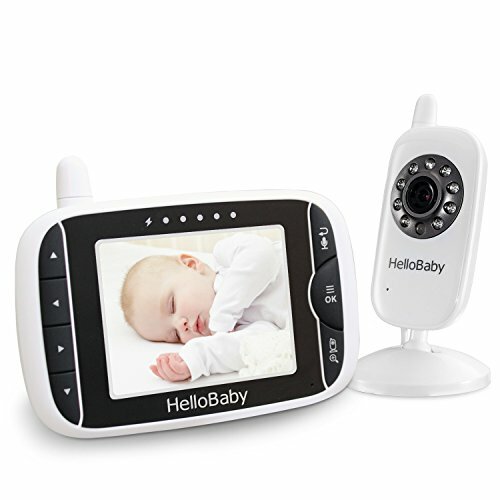 The HelloBaby Digital Wireless Baby Monitor is a monitor that, as well as offering the ability for users to keep an eye on their child in both visual and auditory manners, also allows the user to monitor their child’s temperature in order to make sure that the child isn't too hot or too cold. As well as this, the monitor also allows for most of the standard features featured in baby monitors. The main feature boasted by this product is the ability to monitor the ambient temperature of your baby’s room without the use of external thermometers. It does this by making use of an infrared thermometer, which enables this monitoring of temperature whilst causing absolutely no discomfort or distress of the baby, which enables for a good night’s sleep without ever having to wake the baby up to check it’s temperature. This is important as the temperature of the room a baby’s sleeping in can have a massive effect on its general health and wellbeing. 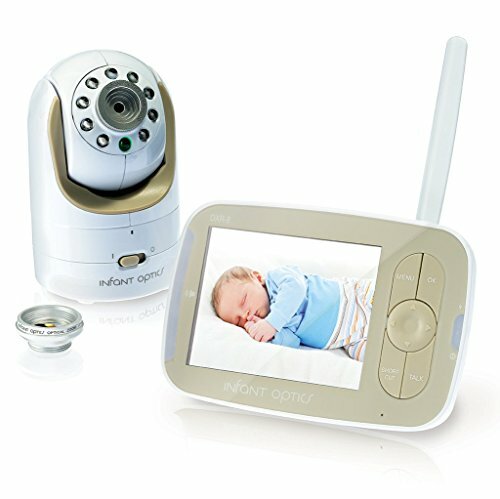 On top of this, the product also offers the opportunity for the user to visually monitor their child through the use of the camera. 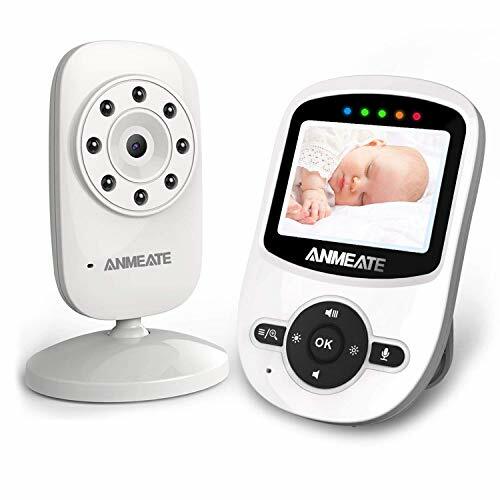 As with most visual baby monitors, the product offers both day and night time vision through the use of infrared. This allows for parents to watch their child whatever time of day it is. 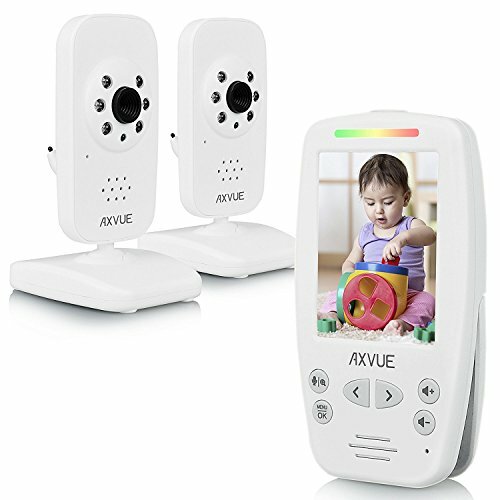 Through the use of speakers in the camera, the product also allows for two-way communication with the child. This audio feature is also fitted with an auto mute, which means that if the noise level in the room that the camera is placed in is below 50 decibels for more than 7, the speaker on the parent’s module will automatically mute itself to stop any irritating background noise. The receiver for the camera boasts a 3.2 inch LCD screen that shows footage from the camera in real time. Built-in speakers also play the sound from the feed, and a built-in microphone allows for the parents to talk to the baby without having to be in the room with them. The monitor also offers the opportunity to pair with up to four cameras (extra cameras must be purchased separately), allowing surveillance of up to four rooms at any one time. The system also has a massive transmission range of 960 feet, which allows the cameras to be viewed from anywhere in the house, or on the surrounding property, meaning that if the user needs to go outside to do something like take the bins out or check that they’ve locked the car, they can do that without worrying about the fact they’re leaving the baby unattended. The product also offers warnings to the user if the battery is low or if they are moving out of range of the signal, meaning. Infrared camera allows for both day and night time viewing. 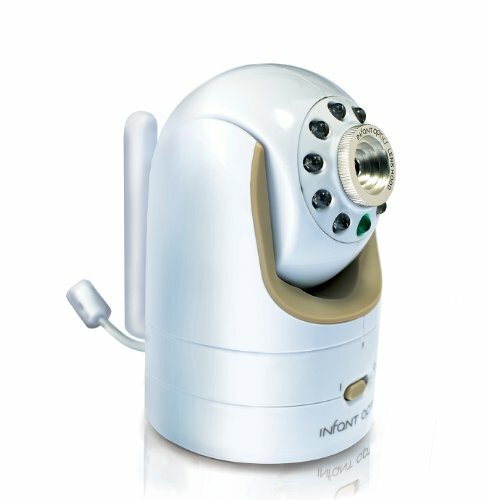 The infrared thermometer allows for monitoring the temperature of the room that the camera is, without disturbing the baby. Two-way audio communication allows for talking to the baby without being in the room with it. Auto mute function eradicates any potentially irritating background noise from being played through the parent’s receiver module. The ability for pairing with up to 4 cameras allows for monitoring the entire house. The camera features remote controlled pan/scan/zoom technology. The lower price makes this one of the more affordable monitors on the market. Massive receive range allows for use almost anywhere in the house or on the surrounding property. The screen on the receiver module is smaller than that of most other market models of the baby monitor, this can make it more difficult to properly perceive what is happening in the image. The auto mute function has the potential to cut out any quiet sounds the baby makes that could potentially be important for the parents to hear. All in all, this product seems like an excellent choice for people with newborn babies, and a good product to continue to use when the baby is a toddler. The fact that it offers the ability to monitor the temperature in the room without any external thermometers is excellent as it means that the baby’s health can be ensured without anything to potentially disturb its sleep. On top of this, the remote controlled camera means that the product is also useful for parents wanting to be able to track more mobile toddlers around the room. The two-way audio means that these parents can also tell their toddler to stop doing something without having to run to the room. The only obvious potential downfall to this product is the auto mute function, as not all sounds baby make are above 50 decibels, it is possible that the function could cut out any quieter sounds the baby makes, and this means that the parents may miss something that tells them something is wrong with the baby. The price of this product also makes it a better choice for parents. 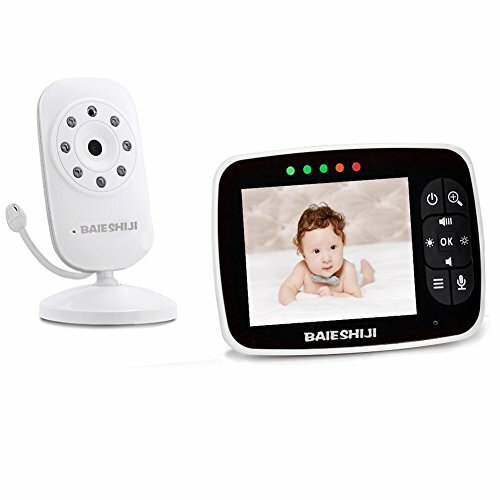 As it is cheaper than most of the other audio/visual monitors on the market, it means that parents, especially first-time parents, will be able to buy this product and have more money left over for other essential baby products.